I am a major sucker for good packaging. You could pretty much wrap a muddy twig in something beautiful and I will likely buy it. 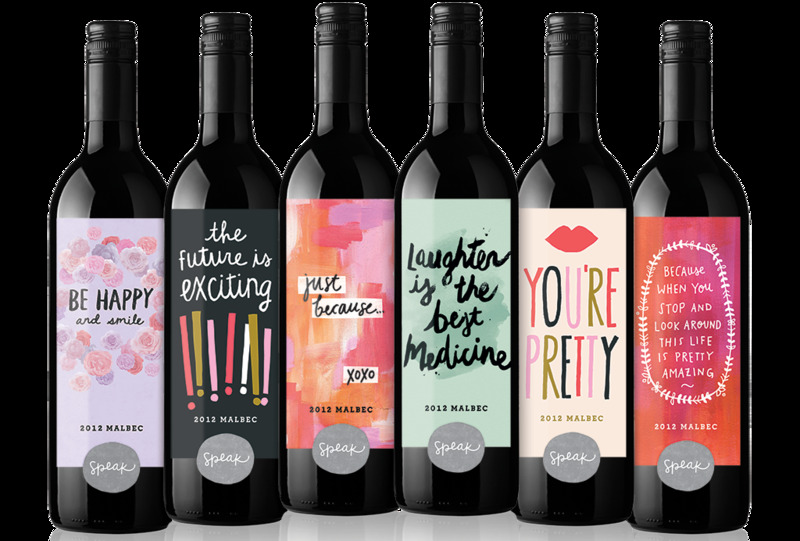 So when I saw the gorgeous labels of Speak Wines, I was instantly lured in to discover more about the wine behind the artistic bottles. The company was started over what else? A glass of wine. Combine that with their genuine love of sweet sayings and style and you have a fabulous formula for a great product. What I am really loving is that while the packaging sure is easy on the eyes, they really do focus on the wine being stellar and at a friendly price point. I just ordered a case and will happily reporting back my findings. In the meantime I also put together a little round up of my favorite entertaining pieces that go coordinate brilliantly with the beauties above. how cute are those wine bottles?! I am ordering some right this second, these will make the perfect gifts. right, I ordered some to try & can't wait to get them in!